You need to place an object parallel to another linear object. 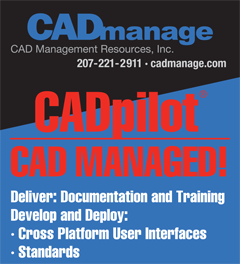 How do you do it in MicroStation and AutoCAD? MicroStation – In MicroStation the best way to do this is to use AccuDraw. First, start the command, in this example, let’s say the SmartLine command. Next, with focus in the AccuDraw window, type RE (ACCUDRAW ROTATE ELEMENT), and hover over the object you want to grab the angle from. Now with the Rotate AccuDraw by Element command you have a few options as well, you can move the origin of the compass as you hover over objects, and update the current ACS if this is something you need to do. 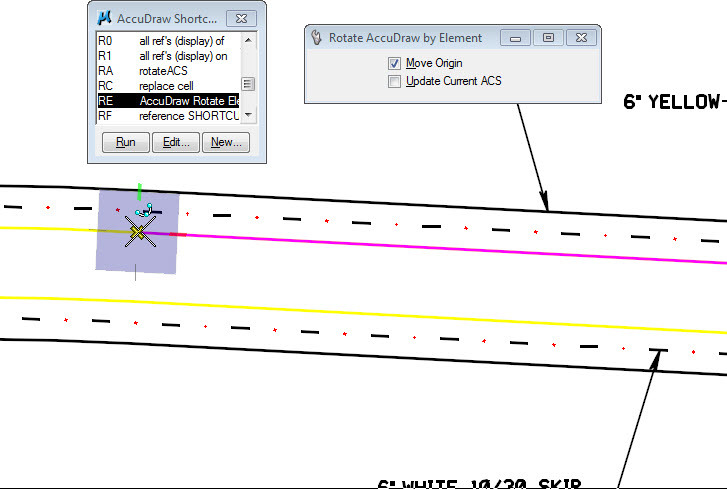 Next, click in the drawing, and the AccuDraw compass will update to the rotation of the object you clicked. 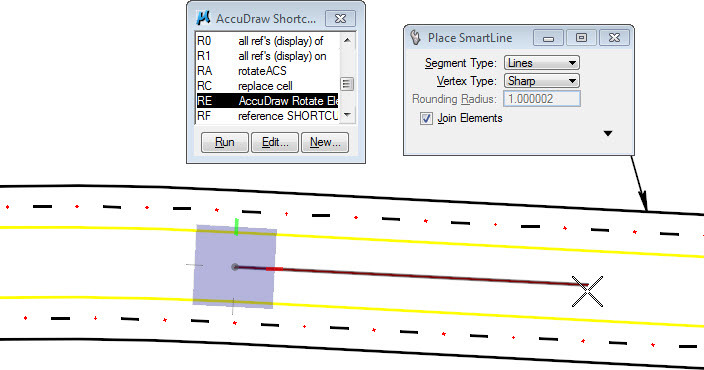 You can then use smart lock (press ENTER with AccuDraw window having focus), to lock in the parallel angle. 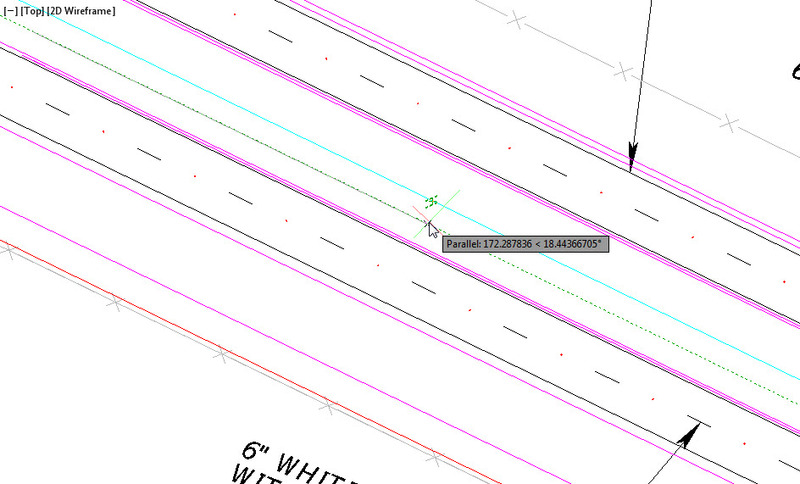 AutoCAD – In AutoCAD it’s a little simpler, but you don’t have some of the options like you do in MicroStation. First, you pick the first point of the object that you are creating, then, use the temporary snap override (Shift+ Right-click) to select the Parallel snap, and hover over the objects angle you want to grab. Then, move your mouse in the same direction of the parallel line, and the line will track at the angle of that line. You have officially been given your first lesson on parallel CAD parking, now you are on your way to passing your CAD driving test. Seth and I decided that this was an important article to link to. Yesterday, JTB World posted a blog about the worm ACAD/Medre.A, http://tinyurl.com/88geu8a. According to the post, “The main motive of the malware is to steal AutoCAD drawings from the infected system. These are sent to the attacker via email.” The article provides good detail, so please take a few minutes to read it. The blog describes it as a “…a serious example of suspected industrial espionage.” And the author suggests the malware could be used to steal inventions. I think we can use our imagination to recognize that all public and private infrastructure is susceptible. So, no need to panic, but please, update your virus definitions.